Over the weekend Stacie & I had to pleasure to meet up with a fellow blogger we have befriended over the last year, Carylee from More Pieces of Me. I've said it before & I'll say it again - a very unexpected perk to this blogging adventure is meeting a whole new group of wonderfully supportive ladies that I would never had to pleasure to "know" otherwise! So to be able to actually meet Carylee while she was in town for a trip was a special treat, to say the least. And what do style bloggers do when they get together....they shop!! Well, to be fair, we also did a lot of driving in circles along with lunch & a coffee to recharge later in the day. Oh, & I can't leave out the selfie tutorials that Carylee patiently helped us with too! Express was the first store we knew we had to hit. Here is a re-cap of the items I tried on along with my review of them (after I learned from the master on how to take a good better mirror pic). Stacie didn't document her dressing room items with photos, but I'll fill you in on her purchases as we go too. I first saw this tee here with Carylee & I instantly knew it was an item I wanted to seek out & try on. It didn't disappoint & I purchased it in black & white & would have gotten the plum if they hadn't been out of my size. The price is great at just under $25 & there are 10 colors to choose from & I'm sure I will be adding more to my collection! Stacie also got 2 of these tee's - in black & plum & has said she'll be going back for more colors too. Next I tried on a draped maxi skirt - I can't locate this item online so I won't spend too much time talking about it. We all 3 went back & forth on if we liked this skirt or not. In the end I decided it wasn't on my "gotta have right now" list, so I may reconsider it down the road when the weather is warmer. It's a little hard to tell because of the black color, but one side of this maxi skirt is draped upward, giving almost a maxi-but-not-maxi vibe. In this picture I'm still wearing the tee shirt from above. Last, but not least were the Line Floral Portofino & ruched mini skirt. Again, this skirt was on my list to try on after seeing it on Carylee & Gina (of On the Daily Express) several times. It also lived up to my hopes & went home with me (& Stacie). I was drawn to this portofino because of it's soft blue color. Carylee also made a good point that it makes a great substitute as a light weight chambray as well. Good & good, so yes, I purchased it. Of note on this skirt, I did size up on it because I noticed when I walked that the hem seemed to work its way upward & I felt that it was getting too short because of that. There is one item I didn't document with photos & that is the Studio Stretch Jacket (24-inch). I've been wanting to add a true structured "blazer" to my wardrobe for a while now because the only other one I own is a jersey material. This one was a bit of a splurge for me, but I know it will be a timeless piece that will never go out of style. Pieces such as this are worth the extra investment. So, that's a wrap on what I tried on & walked out with. I should mention that, in true fashion for me, I used a coupon for my purchase, so I was able to get all these items at discounted prices, yay!! It was such a pleasure to meet Carylee - she is as genuine & kind in person as she is on her blog! I thank her for taking the time to meet up with us, & hopefully we'll get to do it again soon!! 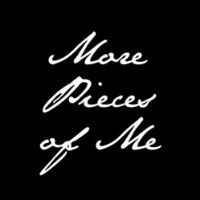 Be sure to watch More Pieces of Me this week for her recap of her Denver trip! Thanks for hanging with me through a long re-cap. I'll leave you with some bloopers from our selfie lessons...enjoy!! You'll notice that Carylee looks perfect in each picture - I'm telling ya, the girl is a pro! So glad you all got to meet in real life!! That is totally the best part of it all. Of course you went to Express! I love the draping on the tee and dress. I want to go check that tee out. It's definitely something I know I would wear a lot. Aw! I'll try to contain my jealousy and tell you this looks SO FUN!! 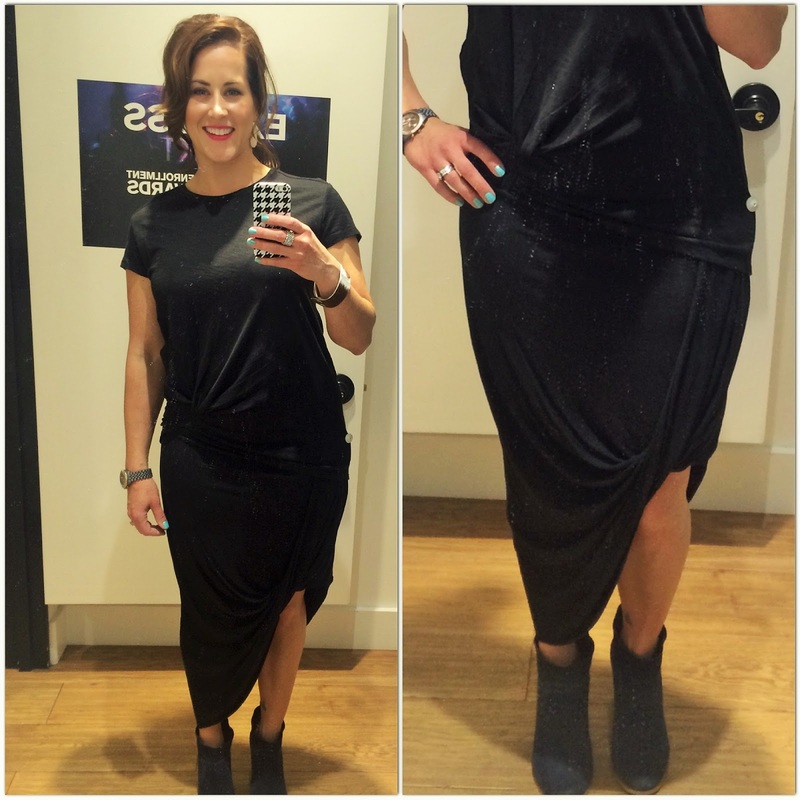 Love the meetup recap and the fitting room reviews! I am excited to see how you style that skirt! I wish I had tried it on in one size up because I have the same issue...it does ride up so I have to be careful. Great new pieces, fun recap, and how do you look so dang pretty in all the pictures?!? Not fair! 3 fantastic outfits. I love the draped maxi skirt and the floral Portofino. I think they are both great pieces for Spring. Thanks for such an awesome review, Kellie and Happy Wednesday! That's so cool that you got to meet in real life!! You are lucky I desperately need selfie tutorials myself, just can't get it right for the life of me! Love all 3 looks you tried on too. Aww so much fun--seriously one of the best added perks to blogging!! I am also sooo in love with that tee--as soon as I saw it on Carylee I wanted it--and now seeing it on you makes me want it even more! Oh how fun! I may get one of those knot tees this weekend. My sister is coming to visit and her favorite store is Express. How fun! 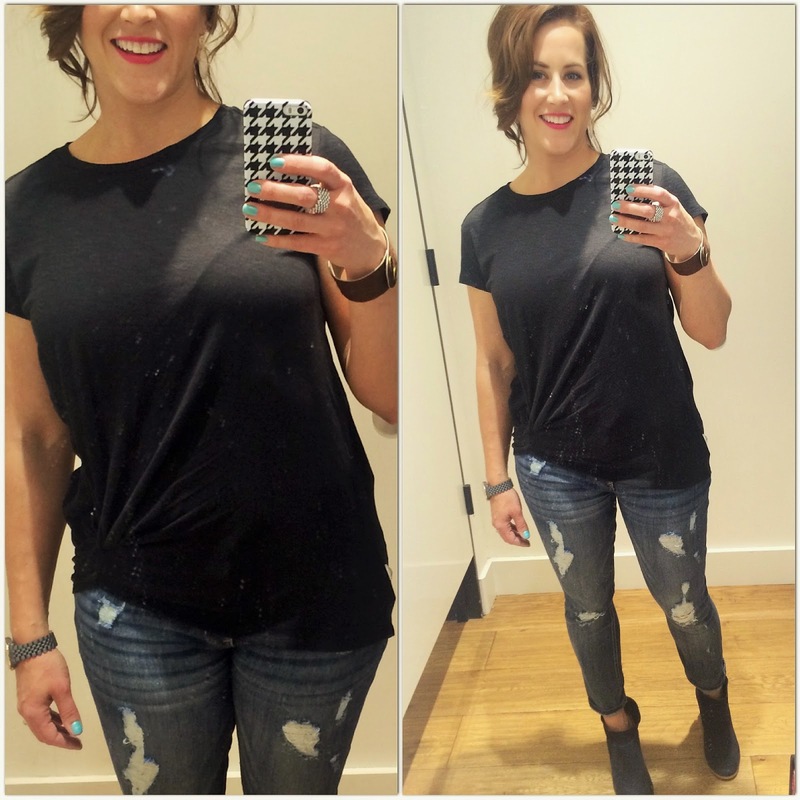 I have see Carylee with these knotted tees - they are so cute and looks great on you. Thank you for joining TBT Fashion link up and hope to see you next week. Have a great weekend!